Welcome to Explore the North! Our adventures take you into the unspoiled wilderness of Northern Sweden. Our accommodation offers all the comforts you can imagine with a touch of Nordic design. Our staff members are welcoming, helpful and friendly. For us, you come as a guest and leave as a friend. While we specialize in winter activities, we offer adventure for every season. Come river rafting in the summer or dog sled down the same rivers in winter. 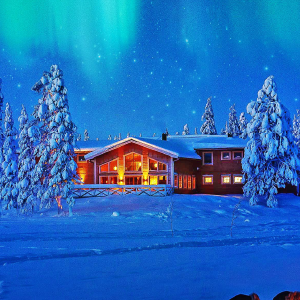 Hike under the midnight sun or hunt for Aurora in winter’s darkness. Join us on a one of a kind adventure! Särkimukka is a very small village by the Lainio River, 150 km North of the Arctic Circle. The village has 20 times more dogs than people. Join us in the middle of the Taiga forests! 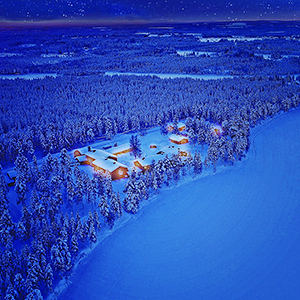 Lannavaara is a small village by the Lainio River, 200 km North of the Arctic Circle. Only 80 people live in the village year round and reindeer herding is the most common occupation. 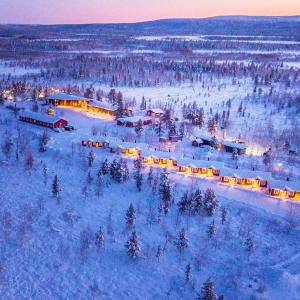 Tärendö is a village of about 440 people 80 km North of the Arctic Circle. It is located were the Kalix River and Tärendö River meet. Join us in 2018 for a whole new adventure!